To download the latest Rate Change perform a Generic Call. Make sure that the mailing system is connected to the internet or to an analog phone line. • Press the “Menu” button. The mailing system will begin a call to the server, wait until the “Transaction Successful” message is displayed. Press the “home” button to return to the home screen. The United States Postal Service (USPS) is implementing Move Update price and classification changes, effective in March 2018. The Move Update postage assessment for non-compliance will increase from $0.07 to $0.08 per piece, but the Move Update verification method will also be changing. What exactly does this mean for your mailing operation? The existing Move Update compliance rules require mailers of commercial First-Class Mail and USPS Marketing Mail letters and flats to update addresses to reflect Change of Address (COA) orders as a basic eligibility requirement for automation and presort rates. Mailers may use any USPS-approved method to meet this requirement, and the addresses must be updated within 95 days preceding the mailing date. Currently, the USPS uses Mail Evaluation Readability Lookup Instrument (MERLIN) equipment to verify the Move Update compliance. This verification occurs prior to mail acceptance on a sample-based process. If the mailing selected for verification contains COA errors above the error threshold of 30%, then the Move Update charge of $0.07 is applied to the percentage of pieces in the entire mailing above 30%. The new Move Update verification method will change the MERLIN verification method to the new Address Quality Census Assessment and Measurement Process. This process will utilize the Intelligent Mail barcode (IMb) technology to verify the address quality of mail submitted by electronic documentation (eDoc) after it has entered the mailstream. This process utilizes existing technology and allows for ALL eligible pieces to be verified, not just a sampling as with the current MERLIN process. Using the new method, address quality will be evaluated on a calendar month basis by calculating the ratio of mailpieces submitted in the calendar month with COA errors, to all qualifying mailpieces submitted by a mailer in that calendar month. If this ratio is greater than the new error threshold of 0.5% of all eligible pieces, the new Move Update charge of $0.08 will be applied to the number of mailpieces with COA errors that exceed the threshold. Hopefully, your mailings (or your customer’s mailings) are already going through address hygiene processes. This includes processes such as address standardization, CASS coding, and move updates. If you are not performing these processes routinely, or if you are not certain if the mailing lists are up-to-date, you should be putting processes into place NOW to ensure that this is done. The biggest impact of this upcoming change is that now ALL addresses in your mailings will be subject to Move Update verification, not just the few random samplings which may have occurred in the past using the MERLIN method. 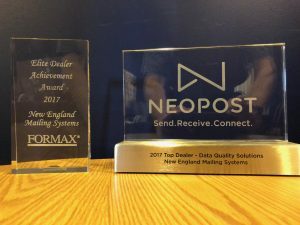 While this affects both letter and flat size mailings, flat size mailers may see more of an impact, as processing flat size pieces on MERLIN equipment is tedious and prone to equipment jams and failures. For this reason, flat size mailings may not have experienced as many verifications as letter size mailings. Regardless of processing category, the universe of verified pieces using the MERLIN verification method is very small as compared to the total mailing. Bottom line: Mail list owners and their mail service providers (MSP) should be working to ensure that address hygiene processes are being diligently applied so mailings are submitted with up-to-date addresses. This proactive approach will help reduce the potential for Move Update validation assessments. With 2018 already here, it is important to spend some time planning and preparing for changes that will impact your business in the new year. One of these changes will be the Postal Service’s rollout of its new Enterprise Payment System (EPS). As with many of the new Postal Service systems, there will be several new acronyms that the mailing industry will need to become familiar with as EPS is formally rolled out. EPS will require every business mailer to have an Enterprise Payment Account (EPA). 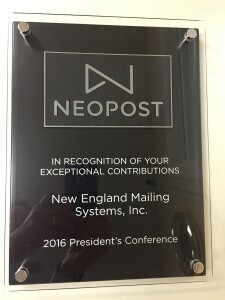 If your business has PO Boxes, you may have already had some exposure to the first phase of EPS, which is being referred to as EPOBOL (Electronic PO Boxes Online). EPOBOL allows mailers to renew, open, and close their PO Boxes online. EPOBOL is currently available for use, and the Postal Service is encouraging all business mailers with PO Boxes to begin using it. The bigger EPS change for business mailers will be coming later in 2018. The Postal Service is currently pilot testing expanded payment capabilities for domestic, commercial, and international mail products and services with some mailers. These will include postage statement processing for all bulk mailings currently being submitted to PostalOne! using Mail.dat, Mail.xml, or the Postage Statement Wizard. It will also support BMEU (Bulk Mail Entry Unit) hard copy postage statements and other services such as Address Change Service (ACS). There are several steps involved to enroll, such as receiving an invitation code and creating and configuring your EPA, so it would be a good idea to figure out early in the process who in your company will be taking the lead in getting all of this set up. There are many details that will likely require collaboration and testing with the financial side of your business to ensure user roles have been appropriately assigned. Each mailer or mail service provider will be migrated to a single EPA in which all postal transactions will occur. 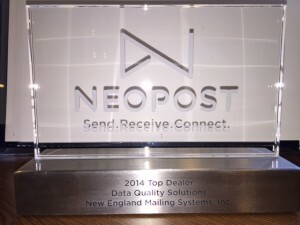 This will greatly simplify the postage payment process for mailers. EPA will allow mailers the ability to setup a trust account or an Automated Clearing House (ACH) debit. The trust account allows mailers to direct deposit funds into their Postal Service account for mailing transactions. ACH debit allows the Postal Service to withdraw payment transactions directly from mailer bank accounts. Once EPS has been fully tested, the Postal Service will require all mailers to migrate to EPS and the current CAPS will be officially discontinued. The timeframe and length of the transition window has not yet been announced. However, you can expect the official start of the transition to be announced sometime in 2018, and the transition window could be fairly short. The migration from CAPS to EPS does not have to be done all at once. The transition can be done a single permit or CAPS account at a time. Mailers with multiple CAPS accounts and/or permits will be able to mix the use of both CAPS and EPS for postal transactions as they transition, but eventually they will all be connected to their single EPA. Once mailers have their new EPA number, they can start using it in the electronic documentation that is sent to PostalOne!. If anyone is interested in helping with the pilot testing of all the various mailing transaction scenarios, they are encouraged to contact the Postal Service at PaymentModernizationMigrationTeam@usps.gov. Ultimately, there is going to be a number of new benefits that will come with the migration to EPS. These include being able to make deposits at any retail location, and future enhancements will include being able to make deposits via electronic check capture. To maximize your benefits, it is highly encouraged to begin planning the changes to your business now. For additional information on the details involved in the migration, use the Postal Service PostalPro site to access the Payment Modernization Overview document.